Wentworth, N.C. –Local officials in Rockingham County announced Wednesday they are considering the viability of a Volunteer School Safety Resource Officer Program created by the state General Assembly in 2013 to increase safety in their county’s classrooms. 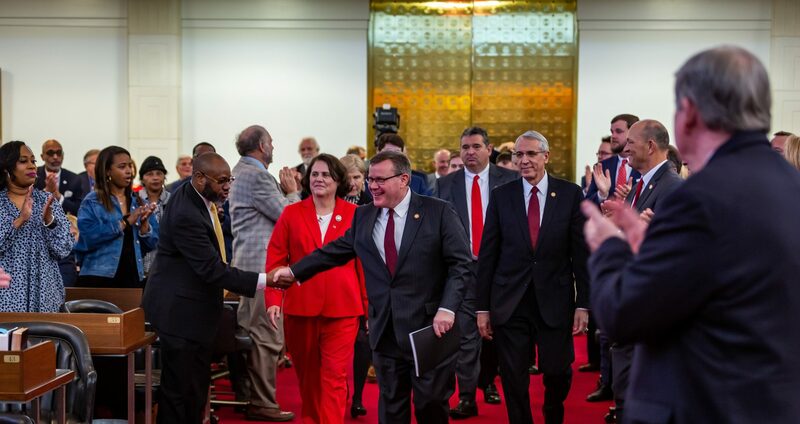 North Carolina House Speaker Tim Moore (R-Cleveland) and Senate President Pro Tempore Phil Berger (R-Rockingham) attended the announcement on Wednesday. Rep. Kyle Hall (R-Rockingham, Stokes) and Sen. Ron Rabin (R-Harnett) also spoke to reporters. The 2013 General Assembly created the optional Volunteer School Safety Resource Officer Program for local schools, but Rockingham County’s initiative would be the first of its kind. Sheriff Page said the volunteer resource officer program is just one possible solution for Rockingham County. Under North Carolina law, the Volunteer School Safety Resource Officer Program requires its special deputies to be former law enforcement officers or military police personnel with an honorable discharge. Rockingham County Schools Superintendent Dr. Rodney Shotwell said safety is a priority for the county board of education and he is acting to secure schools on their behalf. “Our kids see law enforcement in our schools and they see them as assistance, community help,” Shotwell said. Shotwell said the state legislature has been supportive of what schools need for security. “I hope we can be a model not just for North Carolina, but for the nation,” Shotwell said. Volunteer school resource officers must have renewed law enforcement training certified by either the North Carolina Sheriff’s Education and Training Standards Commission or the North Carolina Criminal Justice Education and Training Standards Commission. Speaker Tim Moore formed a House Select Committee on School Safety following a shooting in Parkland, Florida that killed 17 victims at Marjory Stoneman Douglas High School. Moore said the tragedy would not go unanswered in North Carolina. 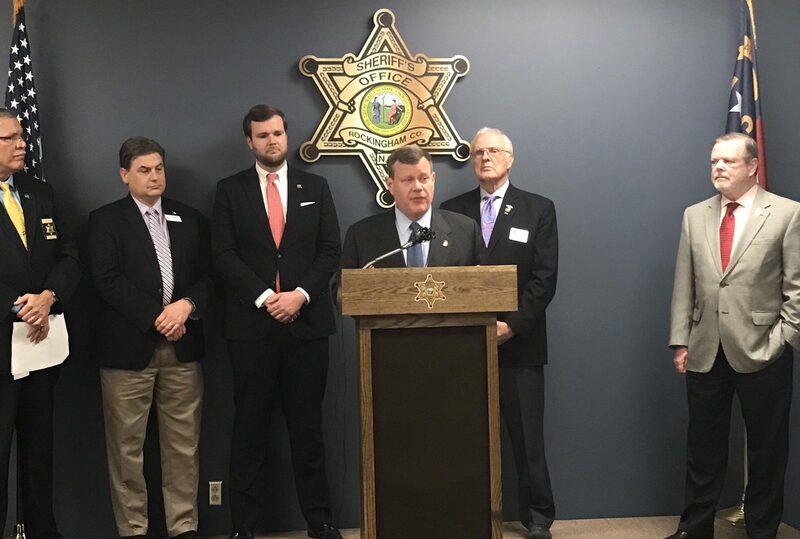 “State legislators know that school security starts with local officials – like Rockingham County’s Sheriff Sam Page and Superintendent Dr. Rodney Shotwell – working together to protect our children every day,” said House Speaker Tim Moore. Volunteer school resource officers must meet selection criteria established by the appropriate law enforcement agency, pass a medical exam, and be nonsalaried. In addition to the volunteer resource officer program, the General Assembly created a grant program in 2013 for the state to match local school districts’ spending on resource officers. “School safety has long been an important priority for legislative Republicans, and that’s why we created the Volunteer School Safety Resource Officer Program in 2013,” said Senate President Pro Tempore Phil Berger. The 2013 General Assembly also encouraged statewide development of school safety exercises and schematic diagrams of classrooms for law enforcement agencies in the state budget. It further facilitated the use of anonymous tip lines, crisis kits, alarm systems, response plans, training and hiring of school counselors, to help local districts increase safety in education facilities. State House Rep. Kyle Hall, who represents Rockingham County, said local governments and state legislators must collaborate to protect students and teachers in schools. 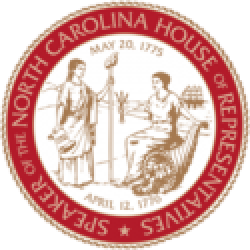 Physical security in schools is one important part of a comprehensive approach to school safety in North Carolina, said state Sen. Ron Rabin, who represents counties in eastern North Carolina and co-chairs the Joint Legislative Emergency Management Oversight Committee. Read more about the news conference from the Greensboro News & Record and the Associated Press.